I was supposed to visit Macau last year of December but it wasnt' pushed through because of some important decisions that changed my life this year. Enough of the drama and let's go straight to the wonderful trip I had in Macau. Actually, it was an "anniversary" trip for the four of us, I was with Ate Vinz, Gilyn and Razel. Same companion I had last year with my Cambodia trip. This will be a tradition and we will also have our trip by next year in holy week. It was April 2nd and as we arrived in Macau, it was cold. We went directly to the hotel and left our baggage for a while then we roamed the streets of Asia's largest destination for gambling. We were first got lost but eventually we found our paths. The structures were a mixture of old and new architectures that are superb in style. On our way, we passed by several churches. St. Lawrence's Church which is an imposing structure, standing in a garden filled with palm trees and can be approached from the rear or by way of grand staircase and ornamental gate, to lend a dignified appearance. Next was the St. Augustine's, a simple, neoclassical church of 16th century. We also saw St. Dominic's church which has an imposing facade of cream-coloured stone with stucco mouldings and green shuttered windows. 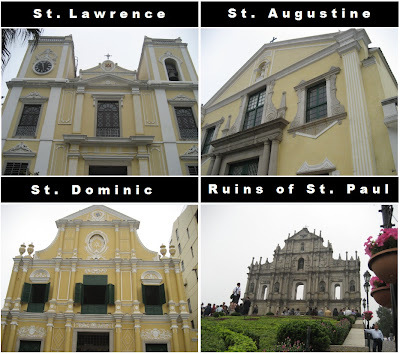 Of course, the very famous Ruins of St. Paul's which is only a magnificent stone facade and grand staircase remain of the iconic Church of St. Paul. 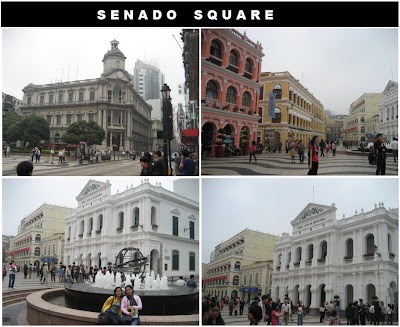 Also notable place was the Senado Square, it is a destination for the locals and tourists and can be tagged as meeting place. The famous fountain was renovated several times and currently, a celestial globe as used by pioneering Portuguese seamen can be seen in the middle of the fountain, captivating sight under lighting at night. The square is also popular place for holding all sorts of cultural events. On the same day, we visited the Museum of Macau which is on the hill of the Fortaleza do Monte, a 16th century fort in Macau. 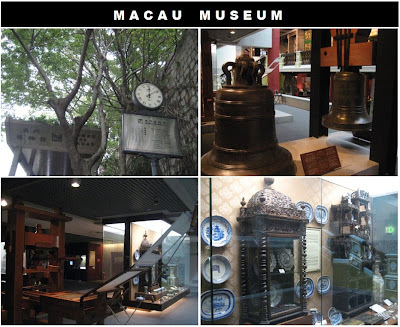 The museum presents the history of the city and territory of the former Portuguese colony of Macau, now a SAR of PRC. The museum building is located within the interior of the fortress. The displays were mostly the historic event of Macau and the process of progression. The displays were quite nice, we were also surprised that most of the guards there were Filipinos. There was a kinda scary room in the museum but something really cool about the place was the headset on some of the displays with English, Cantonese and Portuguese translations. We had our lunch then went back to hotel to change clothes and made some preparations. 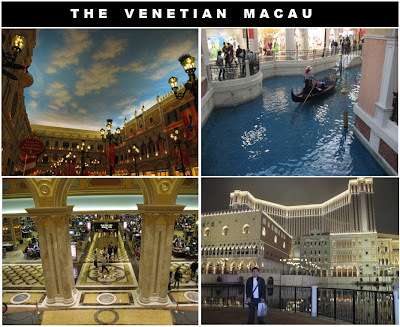 The last destination that day was the popular The Venetian Macau. Good thing there was a free shuttle near our hotel. The major aim why we visited this place is because of it's grand architectural design inside and out of the resort. We tried the funny ride of Gondola and the singer assigned to us was a Filipina with a golden voice. We passed by the casino area and the smell was ultra high in cigarettes. The place was really magical in design and very big. We almost got lost in looking for a Starbucks outlet. It was a very tiring day but it was worth it!